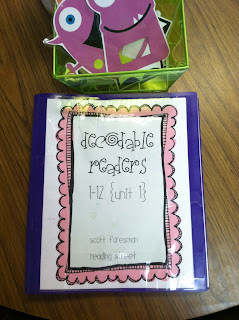 Here's how I teach Scott Foresman's Reading Street. I'm by no means an expert, but since I've had requests on how I do some of our center activities, I thought it might be easier to go through the whole morning routine. We have 2 hours for our morning reading block. We start at 8am and finish around 10am. At the beginning of reading each morning, I start off with a 30 minute whole group lesson that covers what we will be doing during centers. Each center lasts around 15 minutes. I make a "Reading Objectives" chart for every lesson. Time consuming? Yes! But it does help me tremendously with planning out the lesson. It also helps the kids know what we will be doing next. Here's an example of this chart. I put an empty box next to each item and at the end of the whole group lesson, we go over the chart and put a check next to each item. That way it's easy to remember if we've left something out and it serves as a reminder for what we just learned. See the skill words written on green post it stickies? These are 'tickets' to get to centers. I call on different kids each day to tell me what each word is. If they get it right, they get to go to their center. I tell my kids the question of the day, give them a second to think about it, and them tell them to turn and talk to their partner. Their partner is just whoever is sitting close by. While they are doing this, I'm walking around listening and encouraging some of my shy kids to talk. After about a minute, we share as a group what they've just talked about their partner. Sometimes if it's a good question of the day I like to chart their responses on the smartboard. This is something that I don't spend a lot of time on. We just quickly talk about them and move on. I'm trying to find a better way to incorporate these words into our daily lessons, but I feel like I should spend more time on the comprehension and phonics part. If you have any ideas on teaching amazing words, please comment below!! This page is for A Fox and A Kit, but here's the chart that we did for Sam, Come Back! I write a word on the smartboard, tell the kids to "hold it in their head" so everyone isn't blurting the word out, and then pick someone to tell me the word. We also model sounding out words here. On Mondays and Tuesdays we listen to the story after the phonics skill. The book does not have this part, but I feel like it is important for the kids to hear the story day one instead of waiting until Wednesday like the book says. If you wait 'til Wednesday, then the kids have to take the test the next day after hearing the story only once. This would work if everyone read their story at home at night, but we all know that is not the case. The colors refer to their level. When everyone first gets to a center, I call a color and those kids come and meet with me. This is how I differentiate my centers. It sounds confusing, but it isn't once the kids get use to it and it works out really well. It ends up that everyone misses one center, but they make it up during Tier II time. 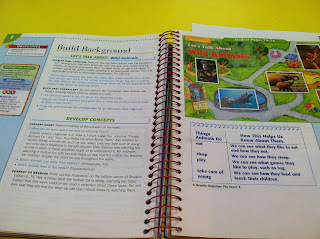 I also have four centers: computers, comprehension, word work, and independent/buddy reading. 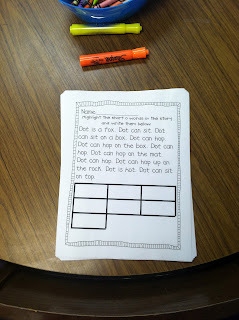 Here's what activities are at comprehension and word work. 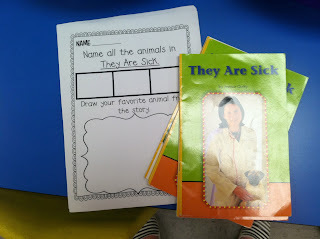 The graphic organizers are also the same every week so the kids understand how to fill them out. There are four different activities at Word Work. By Thursday, everyone will have completed all the activities. They know to do a different one each day. Here are some of the activities that are at word work. These change every week, but here are some favorites. Reading decodables with word buddies. I simply typed the decodable readers that we do at small group, put them in the binder and placed it at the center. The word buddies are easy to make too. Just print off your favorite clip art and cut out a square in the middle and laminate. I put a Stop! 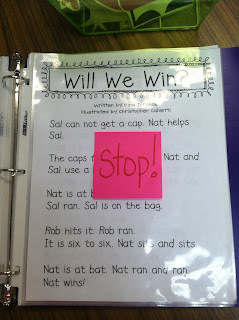 post it by the decodable that we haven't read yet so they know not to go past it. 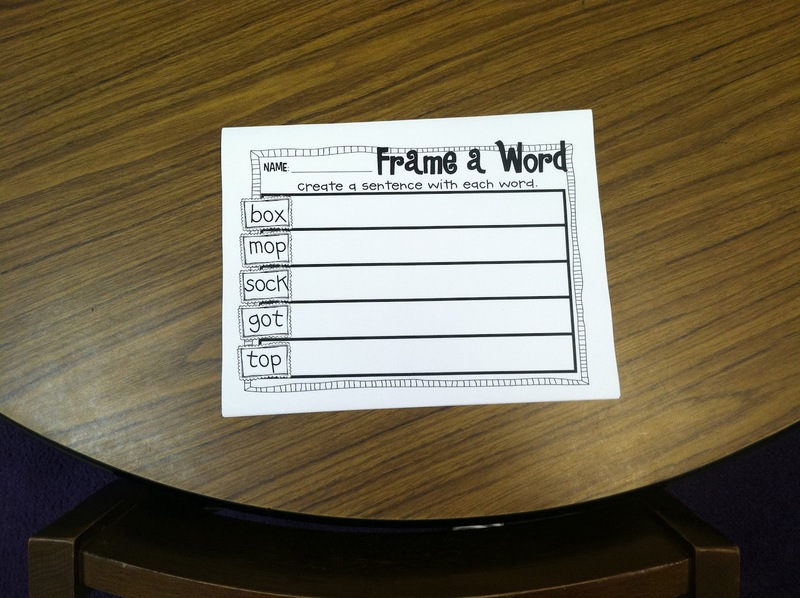 These "Frame a Word" activities came from Babbling Abby's Word Work packets. They are fabulous!!!!! My kids love Babbling Abby's Highlight a Word activities, also found in her Word Work packets, so I decided to try the idea using a past decodable. 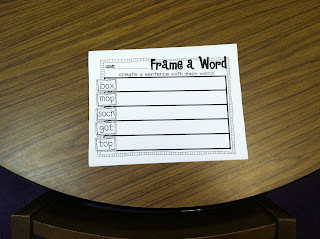 There is usually a word sorting pack of mine or a word scramble at Word Work too. Thank you for sharing! My district is starting Reading Street for the first time tomorrow (yes, 4 weeks into the school year). We are all in a panic. I have not taught from a basal before, and I am NOT excited about it. This post has made me feel a bit calmer. How do you do the story from the student anthology- Sam Come Back, for example? Also, I love your comprehension activities. Do you have those available somewhere? 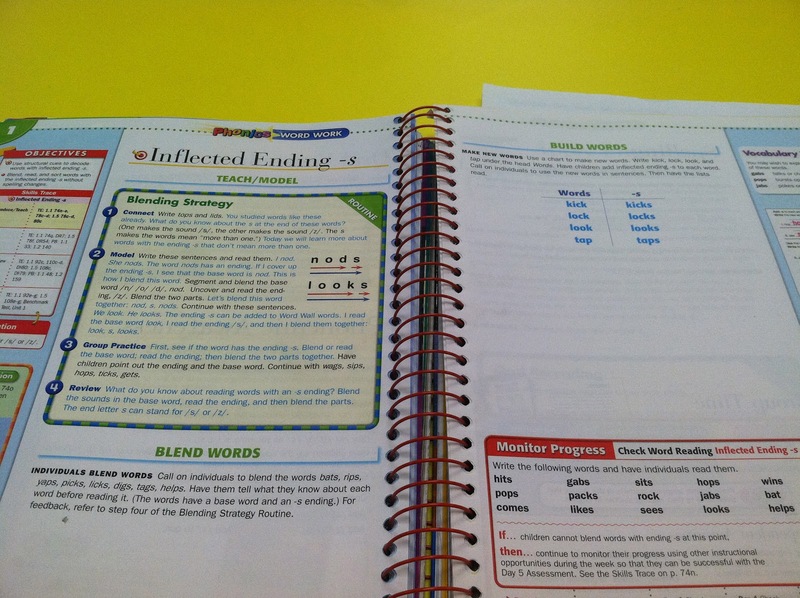 Do you have the typed up decodable readers on your TPT & your word work decodable readers center work? :) I love them! I would love to have your graphic organizers! Could you put them in your TpT store? Do you by chance have any of the comprehension sheets, etc. posted on TPT? Your reading monsters are so cute! 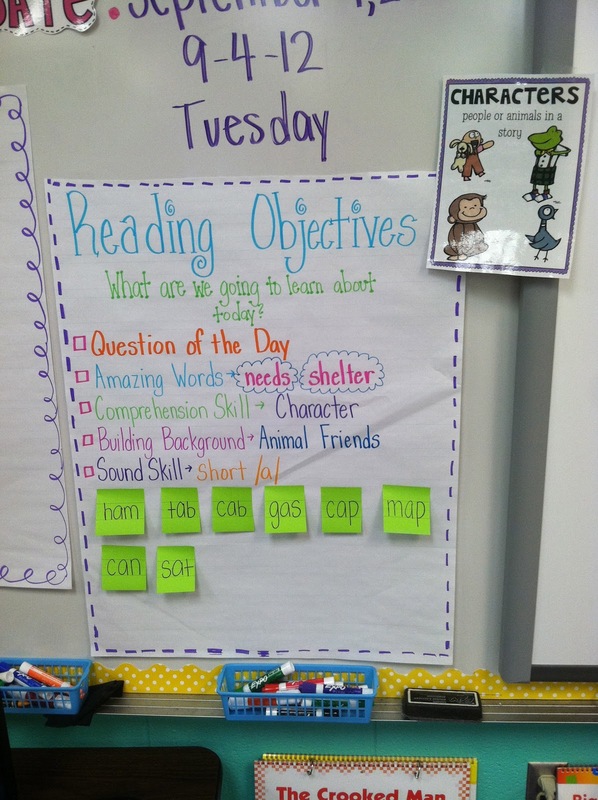 I really like your reading objectives chart. Our new principal recently told a teacher that she's like to see objectives posted for reading groups, not just the whole class. I've got it pinned! That's something for me to make this week. I love your graphic organizers for the weekly readers!!!! Please tell me you that you will start posting or selling those!!! So organized...love it! I am starting a new reaeding series this year as well, but it is "Journeys". It is a bit overwhelming right now. Thanks for the inspiration! I really like the graphic organizers and the decodable books with the monsters. 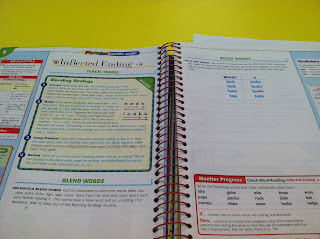 I type them up and number the sentences and put it in the fluency center. Amazing Words- I have a focus wall and the words are in a chart for the week. I wrote the definition and examples on the backs of each card. 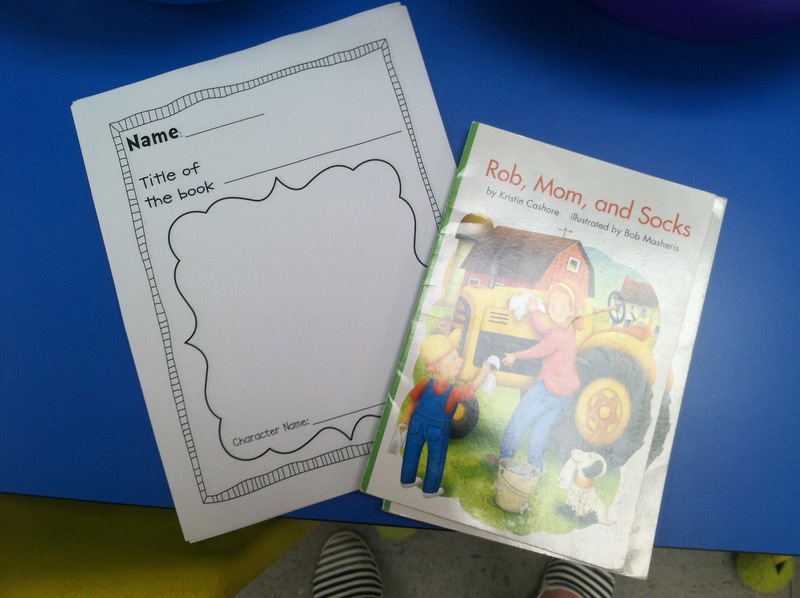 I pretty much do what the book says- use the song and the big book to help with the words. Sometimes, though I think it takes too long and I want to get to the lesson. I have 4 small groups. We are required to do a 30 min intervention every day. i feel like I'm doing reading all day long! Thank you for sharing!!! It is my first year teaching reading street and I have wanted to get my centers more skills based... so thank you for sharing! I have a question about the graphic organizers... you said they are all the same from week to week but as the skills change do the graphic organizers change?? Also, what websites do you have your students visit while they are at computer? Thank you so much for sharing! I always wonder if I am on the same page as other teachers. I have wanted to implement daily 5 like activities but was not prepared material wise. This gives me inspiration. Would love access to your printables if possible! 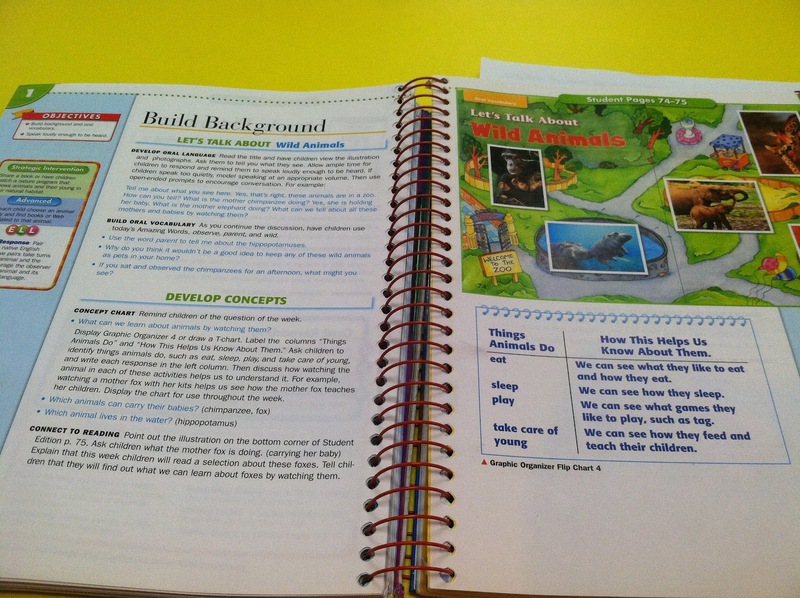 Question: do you use the workbooks and if so how? Are the comprehension sheets on TPT? I want to buy those. 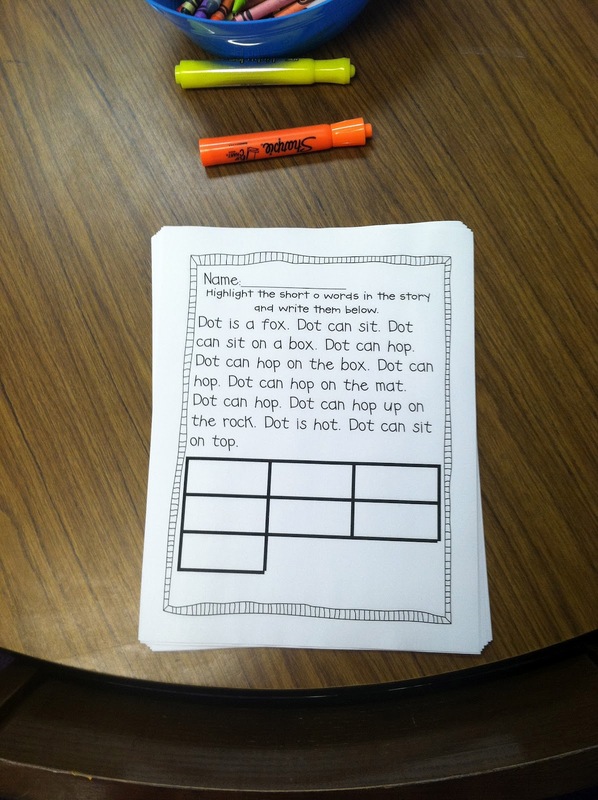 Do you have the comprehension sheets for each leveled reader on the TPT store? I love those! I will def. buy them! I love that some of your items are translated to Spanish-- I am your newest follower and would love for you to check out my blog! Hello :))) hope you had a wonderful day. I really love your blog, you have so many inspiring activities. 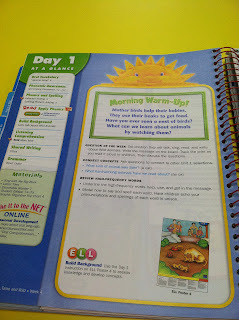 I homeschool my son and I am always searching in your blog new activities to do with my son. I am writing you to ask you a favor please :)); I was wondering if you could recommend me a social science/history books. I need a reliable and attractive source to my history lessons. My son is in first grade. I would really appreciate your help. Looking forward to hearing from you. Thanks :)). Thanks for sharing! We use Reading Street as well, however I am having a hard time this year aligning it with Common Core. How are you doing this? 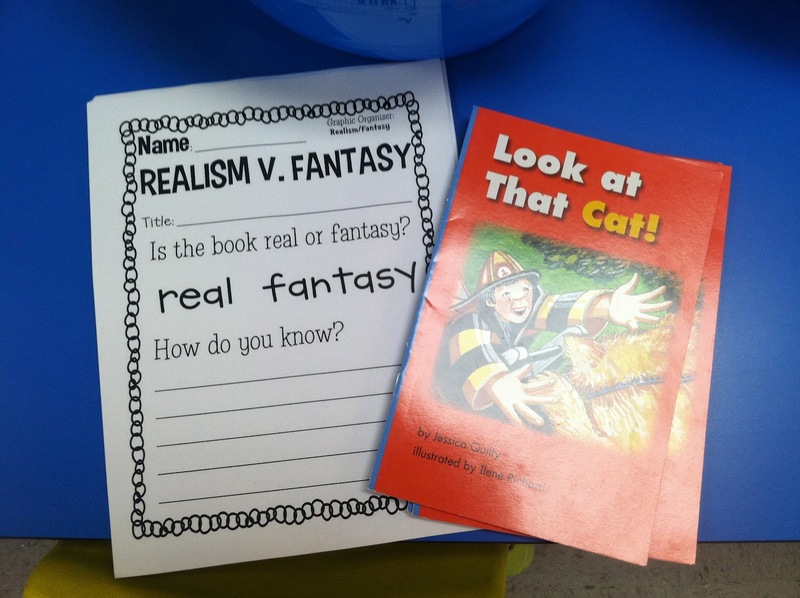 I was also wondering if you could share more about what you do with guided reading groups. 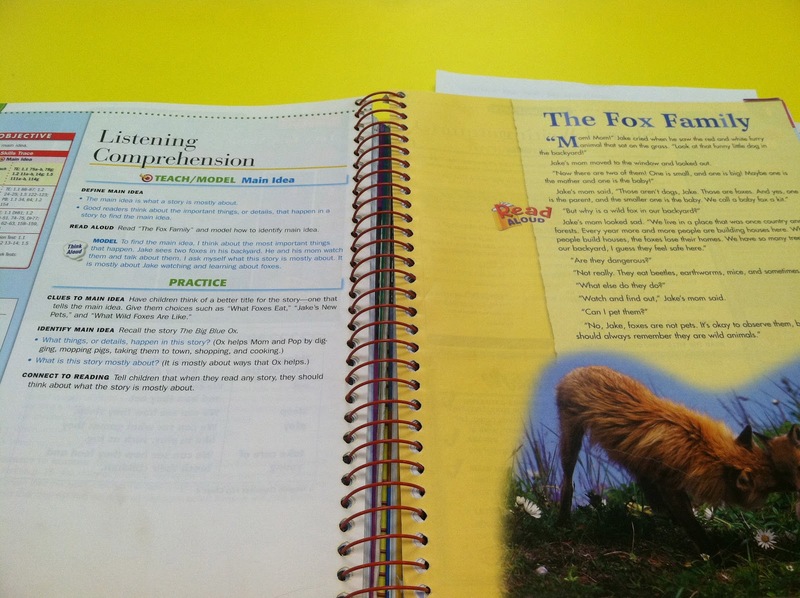 I like the idea of putting the leveled readers in a comprehension centerm but I usually use those for small groups. I have 8, yes 8 different centers in my classroom. I like to have all of the students do seatwork at the same time and then they can go to their center when they are finished. This way, students work harder (and faster) on seatwork and centers are used more as an incentive. I only change out the centers every two weeks. 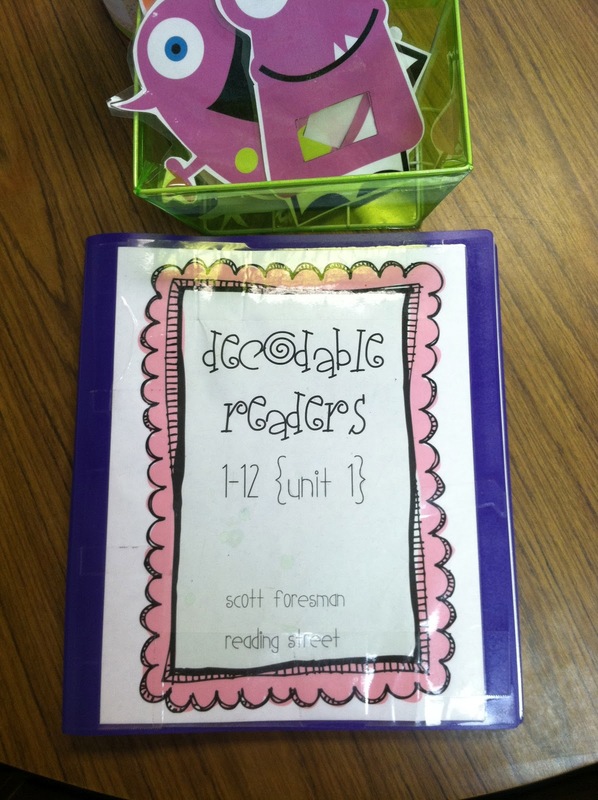 I also want to use your comp sheets that go with the guided reading books! LOVE THEM. I am a fellow Rdg. St. teacher. My class also just touches upon the amazing words. We touch our nose every time we hear one of them being used (no matter which part of our day it is) and I give them a ticket (we do a drawing for possible rewards on Fridays) if they have chosen to use an amazing word in their daily journal writing. It must be used correctly in a sentence to earn the ticket. Thanks for the break-down of how your time goes. Love this! This is my 4th(?) year using Reading Street. I have combined my Amazing Words with grammar this year. 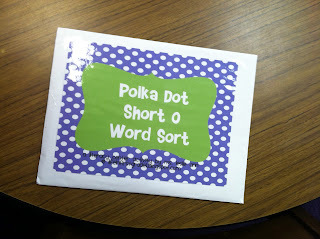 I put up 3 "Target $ Basket" pocket charts :) labeled "Nouns", "Verbs", and "Adjectives". When we do our quick A.W. explanation, we put the word in its group. I think it will help when we actually start using the correct grammar labels later in the year. The kids are getting really good at listening for clues in the explanation of the word and will debate why they think it should be categorized a certain way. It has kept me from pushing them aside for later, since they want to sort their Amazing Words for the day! So many good ideas! 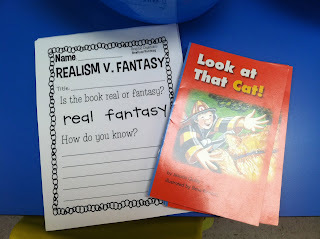 We use Reading Street in my district as well - I especially love your comprehension sheets that go with the leveled readers! I'm finding that the ones provided with the book are either way too easy or way too difficult! In my class, we use an Amazing Word count - I post the words on a bulletin board each week, with a small plastic cup beside each word. Every time we read, hear, or say a word, we put a bead in the cup. At the end of the week we post the "word winners" on the wall. REALLY keeps them searching for those words!! I love this idea and would love to hear more about it. I have six centers and never feel like I have enough time or that students are all getting as much out of it as I would like. I would love to know how long you run centers and more about them in general. I would also love to know how long you do whole group time and how many times a week do you pull kids to your table to read. Any additional info would be helpful. I don't use the basal much. It is eight years old and I don't feel like it goes along in many ways with the common core. 1. How are you leveling your kiddos? Do you find that the on level books are too easy for some kiddos and then when you try to move those to above level books...those books are too hard. What do you do? How do you level your kiddos? 2. We had trouble finding centers above...where do we go? 3. Anyone have a copy of books typed...would save us sooo much time? I love those graphic organizers! Do you sell those? 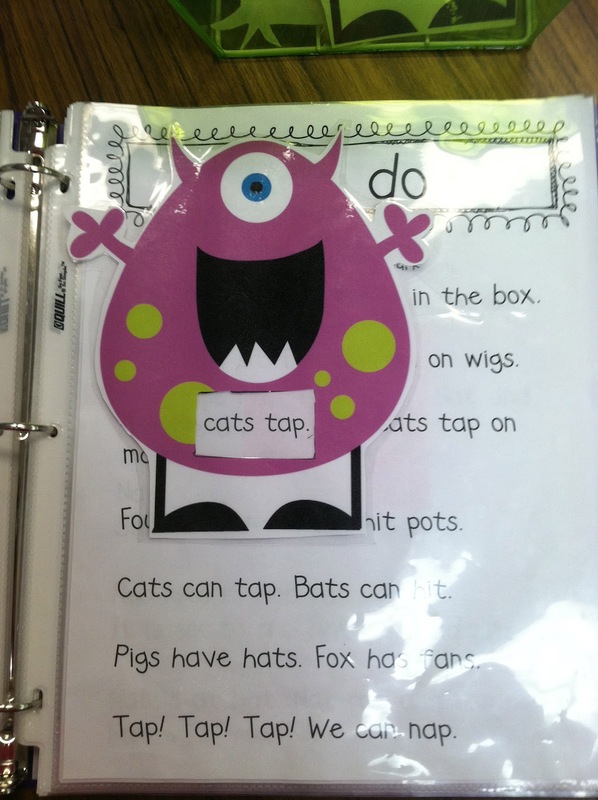 I would like to purchase your Graphic Organizers and Phonics Decodable stories. Where can I buy those? 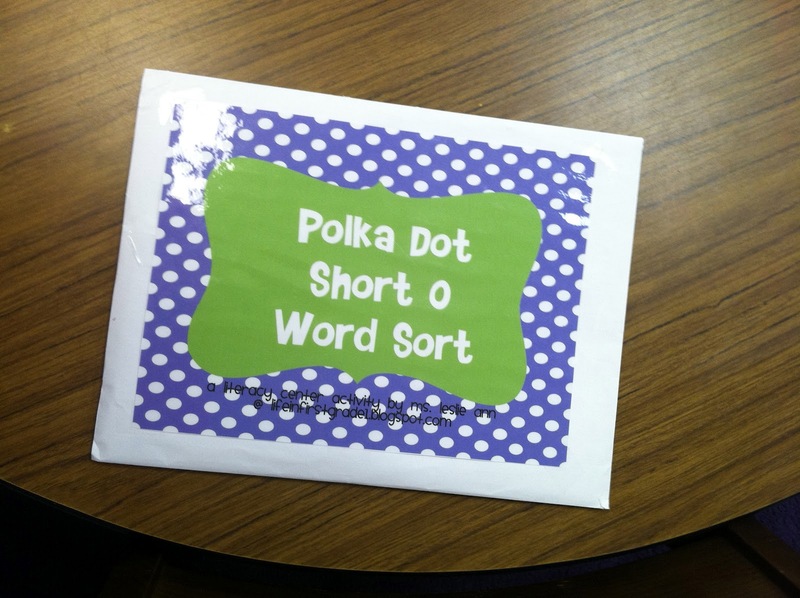 Did you create the worksheets you used in your centers or are they about of the curriculum? I haven't seen them but this is my 1st year teaching so I'm still getting adjusted. I love your ideas and enjoyed reading step by step. I am going to try and incorporating some of your ideas into my daily plans. 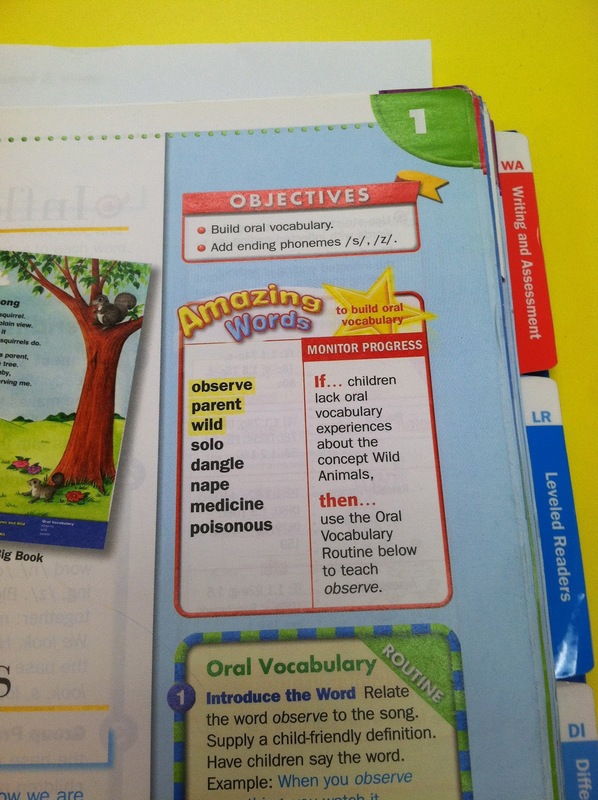 How can I get the Highlight a word activities? 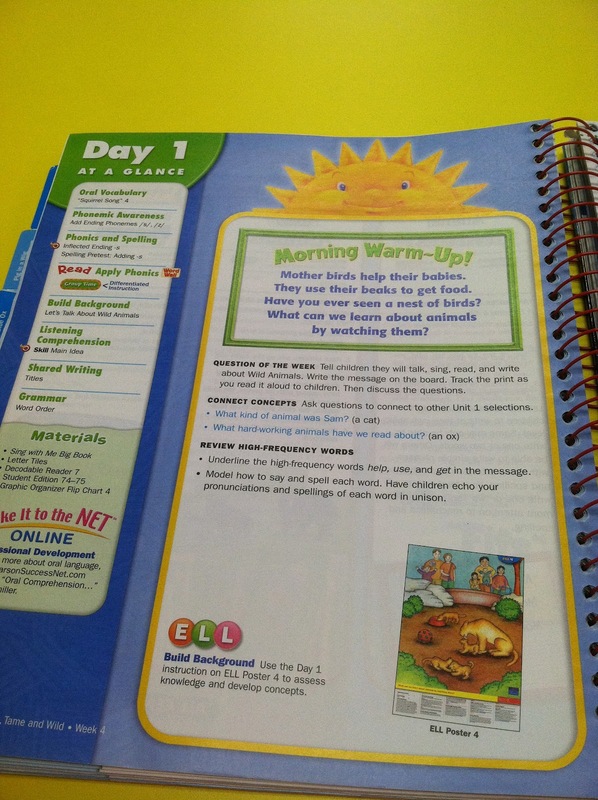 How do you use the centers and teacher intro for each day using reading street? Do you have an outline? Also, is Unit R necessary to teach? How can I get the organizers?